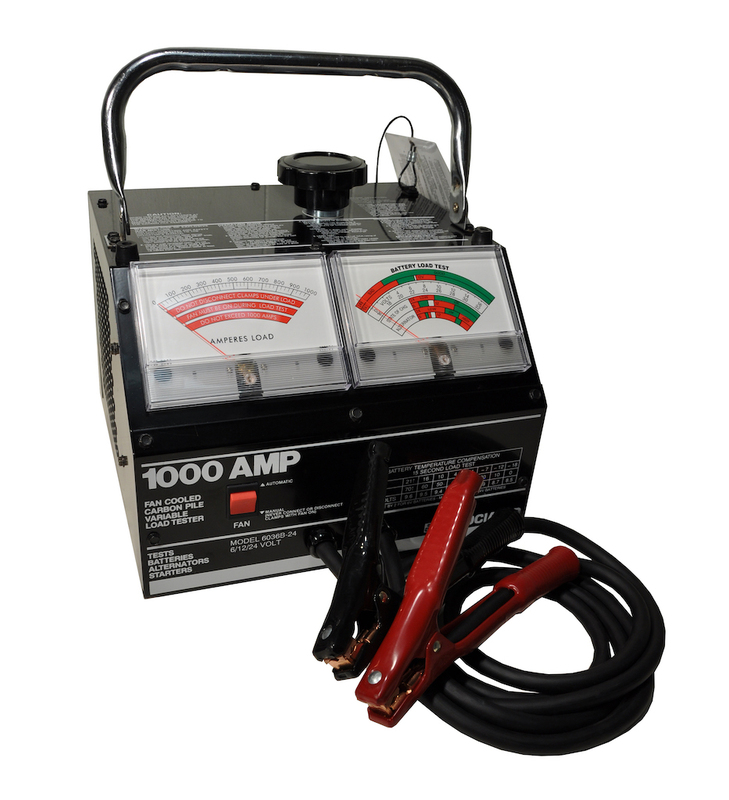 Model 6036B-24 | Associated Equipment Corp.
1000 AMP Load Tester. All the same features as the 6036B with the added value of 24 Volt battery testing capability. Using a dual scale meter and a solid state automatic ranging circuit, the tester automatically switches to the proper scale. Tests 6, 12, and 24 Volt batteries. MADE IN USA.